Renewable energy has evolved considerably over the last couple of years. So much, in fact, that solutions recently deemed to be unfeasible might now warrant a second look. 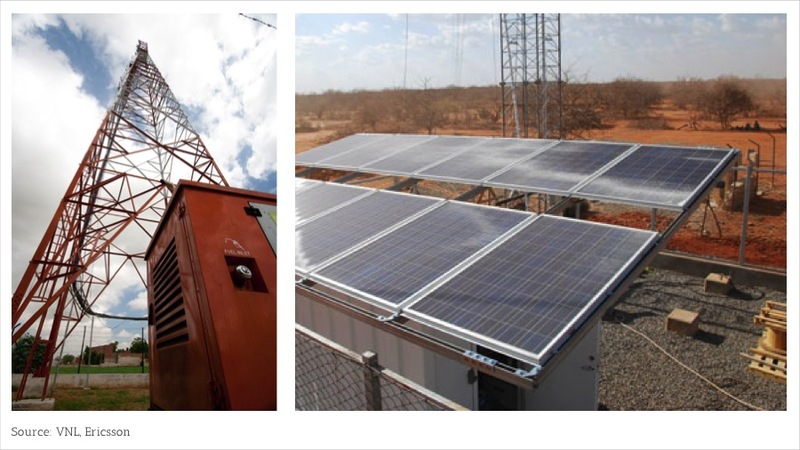 Take mobile telecom operators, for instance: diesel generators are usually preferred over renewable energy based solutions for remote off-grid base stations, because they are cheaper and more reliable. In this article we explore three recent developments that might tilt the balance in favor of telecom towers powered by renewable energy. 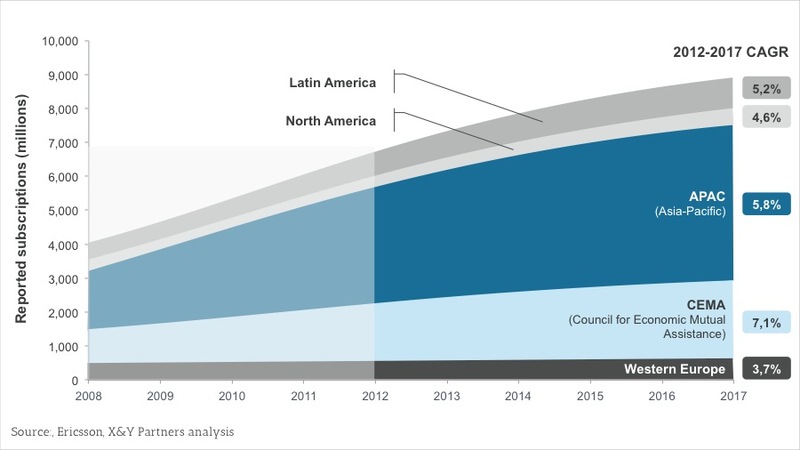 Global mobile telephony subscriptions will continue to grow over the next 5 years (Exhibit 1). 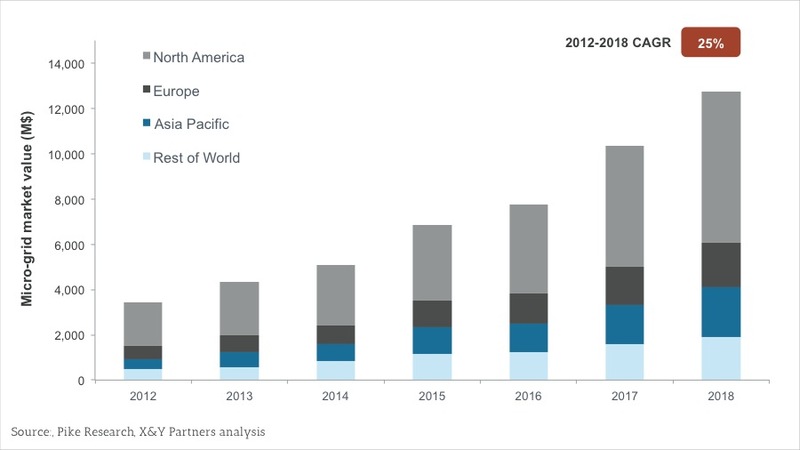 Increased subscriptions and traffic will drive demand for additional base stations, particularly in emergent regions: Analysys Mason, a telecommunications research firm, predicts that 3 out of 4 base stations will be deployed in emergent markets. A non-negligible part of these base stations will need to be deployed in remote regions with no access to the electrical grid. Diesel or propane generators are often used to power these off-grid telecom towers (Exhibit 2), despite the high operation & maintenance costs. These generators are sometimes combined with renewable energy (typically solar PV, wind, or both) but 100% renewable energy systems are rare, since the lower operation & maintenance costs are usually not enough to offset the higher capital costs and the risk of intermittence due to the lack of solar or wind resources. Three recent developments might change this, particularly for solar PV based solutions deployed in the sunbelt countries: lower PV prices, more robust off- grid technology, and a broader availability of ESCOs (Energy Service Companies). Solar photovoltaic has historically been one of the most capital-intensive forms of renewable energy. 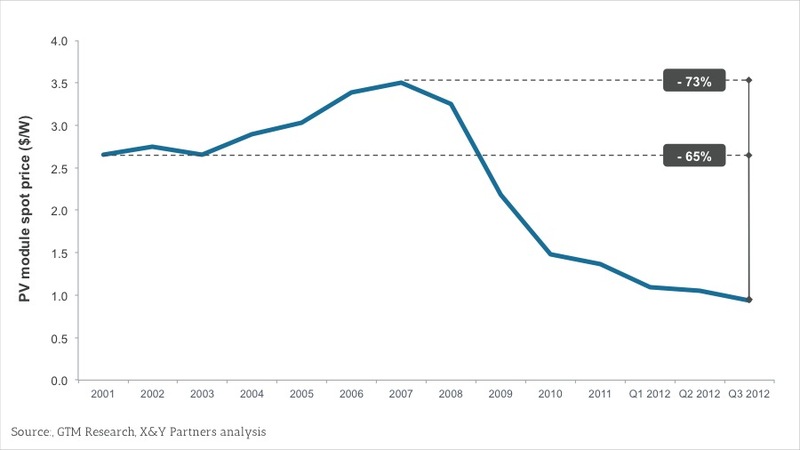 That is no longer the case: PV module spot prices have fallen 65% since 2001 and 73% since 2007 (Exhibit 3), putting PV closer to wind energy, one of the cheapest sources of renewable energy. This decrease is mainly the result of lower producing costs and manufacturing overcapacity. In the short-term prices are expected to stabilize or even increase slightly, as supply and demand rebalance. In the longer-term however, prices should continue to decrease, fuelled by technological advances and more efficient manufacturing processes (a topic we discuss in detail here). Most of the existing PV and wind installations are grid-connected. That means that cloudy or windless days are not an issue, since the electrical grid will act as a backup system. That is not the case with off-grid base stations, hindering the use of standard standalone PV and wind solutions. Industries such as mining and military faced a similar challenge, and have been pushing the development of more robust off-grid technologies. One of these developments is the micro-grid, a combination of hardware and software that allows for the integration and optimized management of multiple energy sources, both conventional and renewable (not unlike a mobile phone managing Wi-Fi and 3G networks to ensure a continuous data stream). 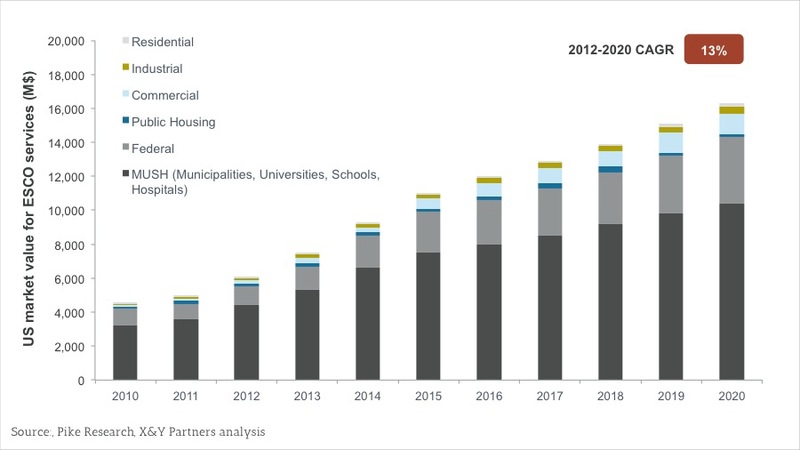 Market value for these micro-grids is expected to grow 25% per year from 2012 to 2018 (Exhibit 4). Advanced storage systems are another relevant development, allowing for a more efficient and cost-effective storage of energy. 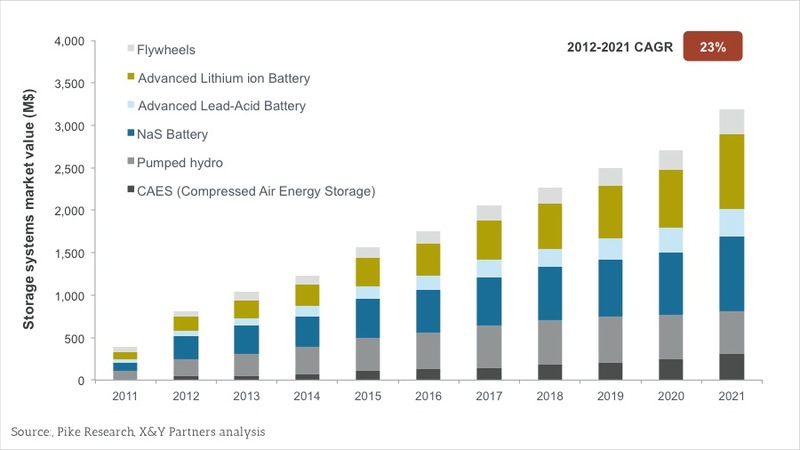 The market for these systems is expected to grow 25% per year from 2012 to 2021 (Exhibit 5), following an increasing demand from multiple industries and applications. Even with improved economics and reliability, deploying green base stations might not be a sound investment for many telecom operators, as it veers off their core business. ESCOs, or Energy Service Companies, are arguably a better alternative: these companies will pay for and install the necessary equipment, and sell the generated power to the telecom operator. The electricity price is set via a PPA (Power Purchase Agreement) and will depend on the characteristics of the base station, duration of the contract and risk-sharing model. ESCO models have become widespread in energy efficiency contracts for buildings, and are now available for a wide range of applications. In the US alone, ESCO services are expected to grow into a 16B$ business by 2020 (Exhibit 6). In conclusion, lower PV prices, more robust off-grid technology and a broader availability of ESCOs might overthrow the diesel generator as the technology of choice for off-grid mobile base stations.